If you’re not a fan of creepy crawlies then you may want to turn your Wii off. The latest theory crawling through the gaming world is that the console actively attracts cockroaches. 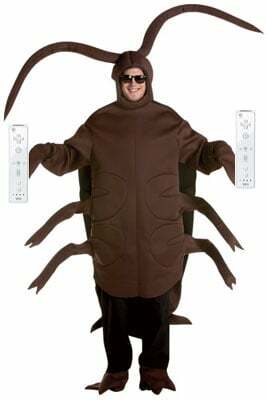 Is your Wii attracting cockroaches? The theory can be traced back to Japanese-language gaming website Barks, which claimed that the Wii gives off a cockroach-friendly frequency that attracts the pests better than four-week-old pizza. Cockroaches aren’t known for their superior hearing abilities, mainly because they don’t have any eardrums. However, according to one online report, the little pests respond to air movements and ground vibrations, detected by hairs on the body. Most electrical equipment makes at least some sort of electrical ‘hum’. However, it’s doubtful that cockroaches are attracted by the console’s wireless connectivity because rival wireless consoles have not been claimed to suffer similar problems coming up through the cracks.